Set in the dunes of Islay, Queen of the Hebrides, The Machrie Links course is one of the most beautiful locations in world golf. Originally designed in 1891 by Willie Campbell, the course has now been fully modernised. 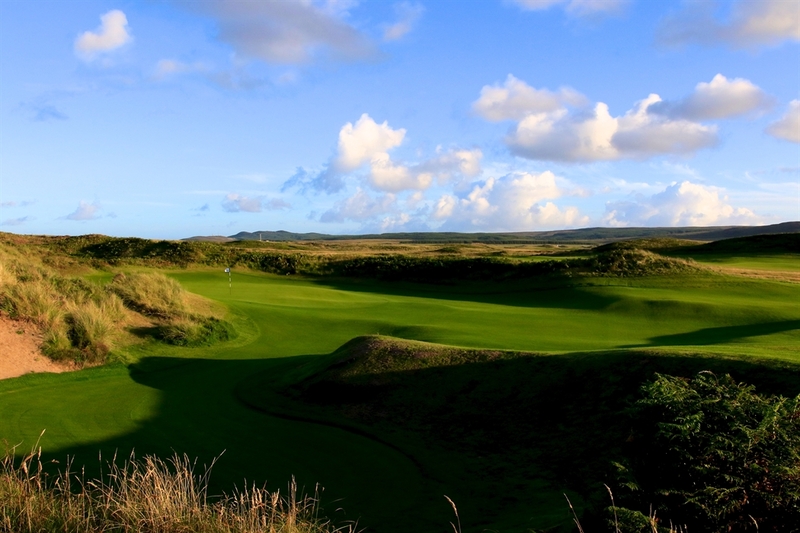 The Machrie Golf Course is located on the south-west of the Isle ofIslay. The word "machrie" is a corruption of the Scottish Gaelic machair, which means more or less the same as "links" did on the east coast of Scotland. 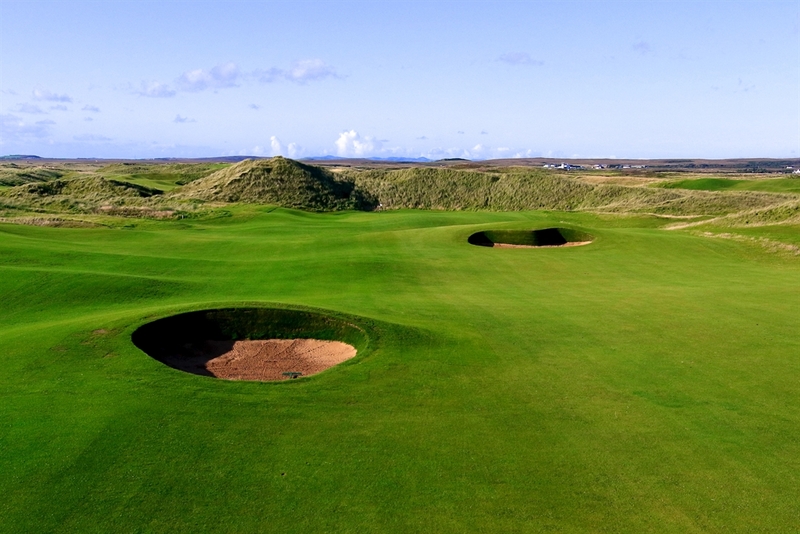 The course was designed by Willie Campbell in 1891 and was intentionally made long, at least by 19th Century standards, to attract golfers to Islay. 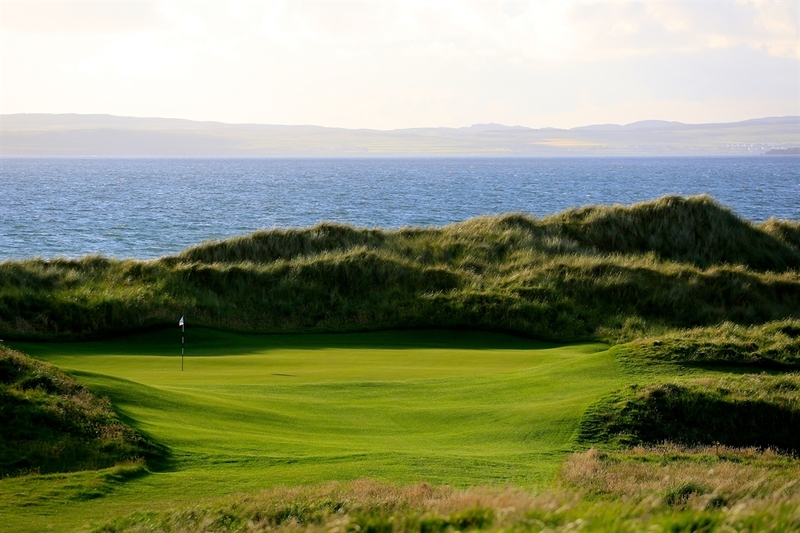 Set in the dunes of Islay, Queen of the Hebrides, The Machrie Links course is one of the most beautiful locations in world golf. Originally designed in 1891 by Willie Campbell, the course has now been fully modernised by D J Russell, the former European Ryder Cup Vice Captain and PGA tour player. 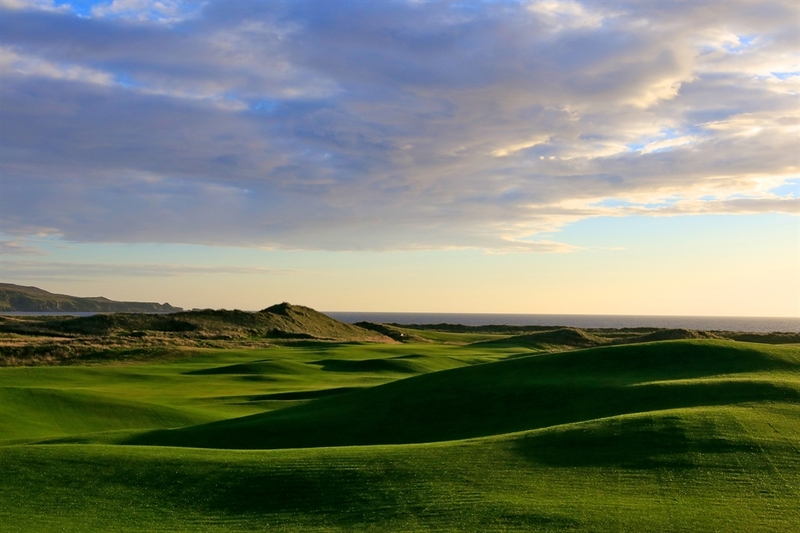 There is a reason why the Scots invented golf on links land, Machrie land, and the links turf on which the course sits is among the finest in Scotland. The dramatic setting of Laggan Bay and the sand dunes has few equals, and with the ever changing nature of the challenge offered by this acclaimed layout it’s time you played the Machrie! The Machrie Links hosted a famous match in 1901 between James Braid, John Henry Taylor and Harry Vardon for a prize of £100, reputed to be the largest prize of its kind at that time in the British Isles. Harry Vardon called Mount Zion, now the 17th hole, but originally the first hole, "the hardest hole I have seen". The links later hosted the Western Isles Open Championship in June 1935. Located on the south-west of Islay, the Machrie Hotel and Golf Links is just a five-minute drive from the island's tiny airport. Right on the doorstep of the hotel is the links, beyond which the beautiful Strand beach stretches for six miles, from Kintra to the mouth of the Laggan. Looking inland, there is only heather, rolling hills and sheep as far as the eye can see.